Well, the day before Thanksgiving!!! I just wanted to remind you all to awaken promptly at 7 am, eat some yummy cinnamon rolls (no need for homeade when you can get the Pillsbury ones with cream cheese icing...can we say unbelievably deee-lish! ), and stay in your PJ's for the Macy's Thanksgiving Day Parade. I think I blogged on it last year but it is tradition in the Medlin >> Robbins' household. This year the firstborn might actually be able to watch it since her eyes aren't 2 days old. I'm off to get everything ready for in the morning! Woohoo! 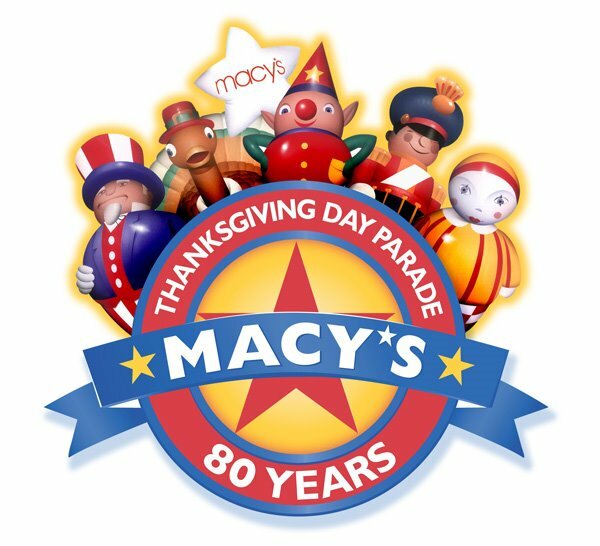 Photo: google.com / search "macy's thanksgiving day parade logo"